This manual desk sharpener has a helical blade that can sharpen different sized pencils, as well as produce an extra-long sharp point that is ideal for fine detail pencil work. It comes with a clamp that mounts the sharpener securely to a desk, and includes an auto-stop security feature. 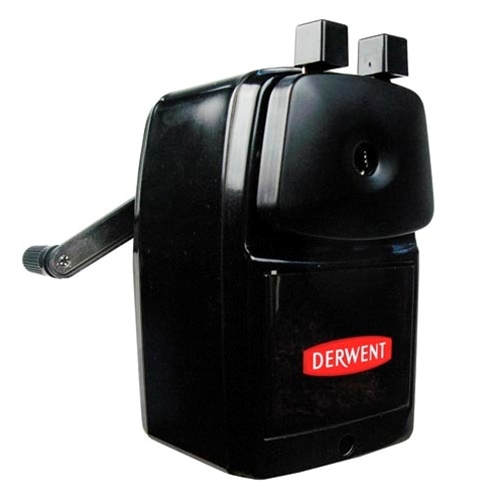 The durable metal pencil sharpener case stands 5.25" in height.